Eight minutes. That is the length of time from the start of the London Bridge attack to the three terrorists being killed by armed police. The Metropolitan Police Service is rightly being heralded for the speed, courage and effectiveness of its members in ending a terrorist atrocity. But the success in their response which prevented more people from being injured and killed is, besides individual bravery, about learning from previous terrorist attacks, training and resources. London has also witnessed hostage takings. In 1975, a six-day stand-off occurred on Balcombe Street in the city’s West End. Armed members of the Irish Republican Army, responsible for a series of bombings across London over previous months, took a couple hostage in their flat as they were being pursued by police. The hostage taking ended peacefully with the surrender of the terrorists. More famously, in 1980 a group of six armed attackers stormed the Iranian Embassy in London taking 26 people hostage. After six days, they killed a hostage, prompting the Thatcher government to deploy the Special Air Service (SAS). The team of crack soldiers was famously caught on television going in to end the siege. The November 2008 attacks in Mumbai and the Paris attacks in December 2015 created a new template for the police to address. In both cases, teams of heavily armed and roving attackers attempted to kill as many people as possible while causing mayhem in the centres of major cities. 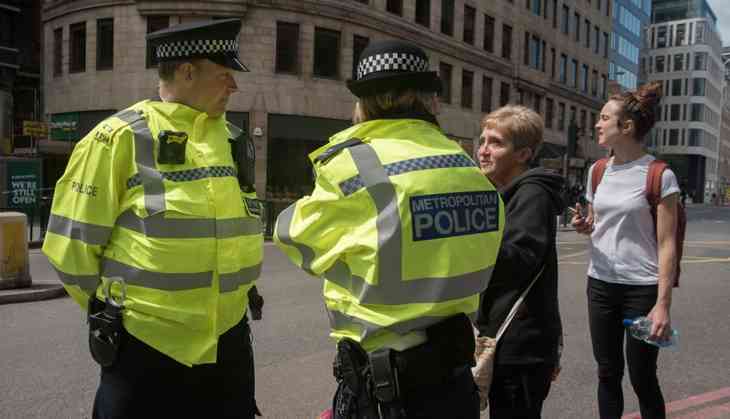 Metropolitan Police specialists have been preparing for such a possibility for years now. Although, thankfully, Saturday night’s attack didn’t involve terrorists with firearms, those skills served them well in quickly dealing with the London Bridge attackers. The police regularly train and exercise for a variety of scenarios with a variety of partners. It is right that we learn the lessons from previous incidents and that these inform and strengthen such procedures. A senior police officer made it clear that speed was of the essence: “We are asking them not to give first aid to the wounded. The most important thing is for them to get to the threat”. But it’s also about having the resources to deploy against a threat. In January 2016, it was announced that 600 more armed officers would be deployed in London by the end of that year, boosting numbers to around 2,800 (or nearly 10% of the force). The number of armed police response vehicles was also doubled. More armed officers have been deployed in public places as well. These trends, in a country famously known for having unarmed police, will now only escalate. The terrorism situation in the UK is clearly in flux. At the moment, the only pattern when it comes to terrorist attacks is that there is no pattern. The London attack appears to be in some ways a combination of the Westminster attack earlier in 2017 and the Lee Rigby murder of 2013. It differs greatly from the style of the May 22 Manchester attack. Nonetheless, members of the police will continue to prepare to deal with worst-case scenarios, based on previous attacks, that they hope will never materialise.